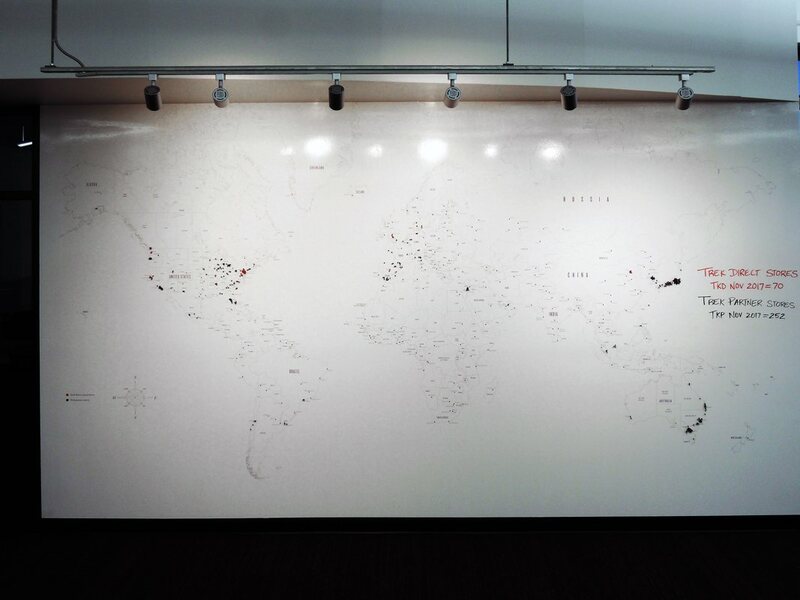 A well known worldwide manufacturer installed a 15 foot wide world map in their office. Here is a closeup of the USA part. The customer was a bit apprehensive at first that the basic large ball shaped tacks would not look special enough, but was delighted after all. 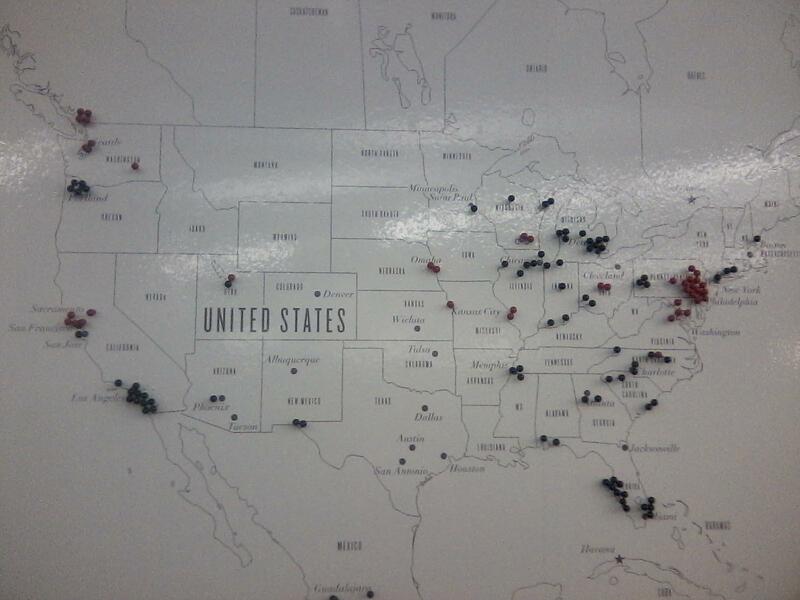 Red tacks represent company stores and black tacks are partner stores. The spare black and white outline map ensures there is no mistaking the intended message: The distribution and ubiquity of the facilities. Even without individual cities all spotted and labeled on the map, by looking at other maps as she inserted the pins she was able to eyeball the locations quite well.